Minister of Public Security, Khemraj Ramjattan Thursday night assured that the whistle blower legislation, which was passed by the National Assembly, prohibits malicious reporting and will allow for reporting corruption and other wrongdoings in the private and public sector dating back to 12 years. “It is important that we understand that it is not only prospective but retrospective,” he told the National Assembly. Ramjattan said once Guyana’s Protected Disclosures Commission is established, persons can provide confidential information about alleged corruption or misconduct in the public and private sector. However, he said if such information is assessed as irrelevant, defamatory, libelous, false, frivolous or vexatious, the commission would discard it. Similarly, the Public Security Minister, who is an attorney-at-law by profession, said “professional legal privilege” must be protected to guarantee the confidentiality of lawyer-client privilege. “It is such an important thing for the right of counsel which goes to the rule of law,” he said. Ramjattan said nothing was wrong with spending money on the establishment of a system that would help to promote the values of transparency and democracy in keeping with international conventions to protect those who provide information about wrongdoers. 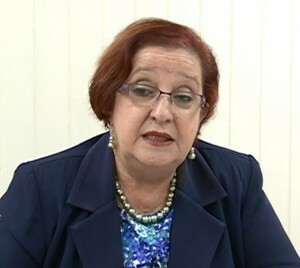 Opposition Chief Whip, Gail Teixeira said her party was not opposed to the enactment of the Protection Disclosures legislation, but she contended that the Bill was not in compliance with the international conventions. “We are confronted with a seriously deficient piece of legislation that does not live up to the objectives it sets itself,” she said. She contended that the “sadly deficient” Guyana law does not benefit from the time, research and consultation to bring it up to the latest model. Teixeira said several several definitions are absent. In addition to the proposed Protected Disclosures (whistle-blowing) Commission, she cautioned government against creating security “silos” in a country where law enforcement agencies are competing for scarce financial and human resources. Since coming to power in 2015, the David Granger-led administration has established the State Asset Recovery Agency and strengthened the Financial Intelligence Unit and the Special Organised Crime Unit. She said the legislation does not provide for confidentiality of information if information is shared with several other agencies and the protection of the identities of whistle-blowers is protected during court appearances. 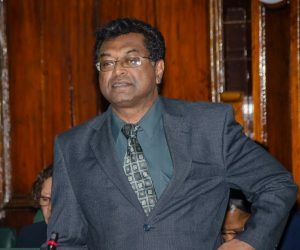 Attorney General, Basil Williams said the Protected Disclosures Bill is linked to the Witness Protection Bill, contrary to claims by Teixeira.